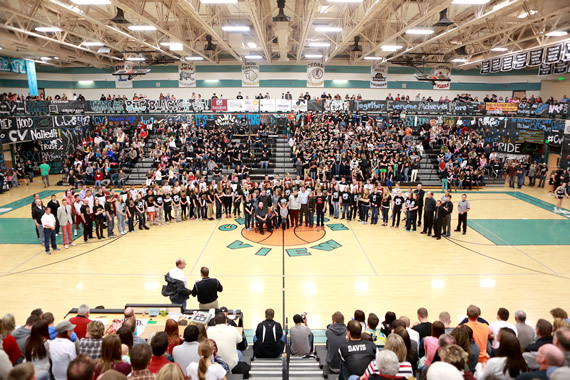 CEDAR CITY — High school basketball fans in Cedar City will see plenty of action this weekend, as the three-day Steve Hodson Cancer Classic, one of the state’s largest basketball tournaments, gets under way. Nearly three dozen teams (both boys and girls squads) will fill six courts at four local schools for the ninth annual tournament, named in honor of local coach Steve Hodson, who died of cancer in 2008. Rob Potter, head coach of the Canyon View High School boys basketball team, said he played for Hodson at Cedar High School in the 1990s. The Cedar High boys team won two state titles under Hodson. Later, after Hodson went on to coach at Canyon View, his teams won two more state basketball championships, one boys and one girls. 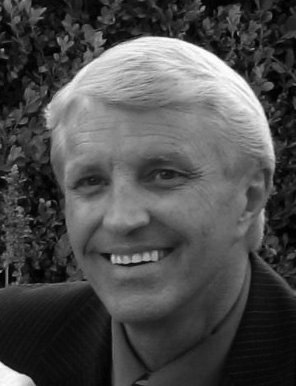 Later, Hodson became the head coach of the women’s basketball team at Southern Utah University. The year after Hodson’s death in November 2008 of multiple cell myeloma, colleagues, friends, and family members decided to create a tournament in his honor. Canyon View High and Cedar High serve as the tournament co-hosts, with games running at two different gyms at both schools all three days. In addition, the gymnasiums of Cedar and Canyon View middle schools will also be hosting games all three days, mostly sub-varsity contests. Nearly 140 games are scheduled. Click here for a picture of the spreadsheet schedule of this year’s games. Potter said the tournament is almost entirely staffed by volunteers. Admission is $5 per person per day, which gets attendees into any or all games at any of the venues for that day. Patrons are encouraged to generously donate additional funds toward helping the selected local cancer survivors and their families. Numerous community businesses are also involved as sponsors or have been donating items for the hospitality rooms, along with prizes for the 3-point shootout and slam dunk contest, which are scheduled for Friday at 8:30 p.m. and 9 p.m., respectively, at Canyon View High. “It is a ton of work and stress for a few days, and a lot of smiles on Jan. 5 at (Canyon View’s) home game vs. Cedar boys when they hand out the checks to those families,” Potter said. The action starts Thursday with opening games at all six gyms starting at 10 a.m. The tournament concludes Saturday, with the final games being a girls contest featuring Lincoln County High of Panaca, Nev., against Canyon View at Canyon View High at 6:30 p.m. and the Cedar boys battling Millard at the same time over at Cedar High. In addition to host teams Cedar and Canyon View boys and girls, three other Region 9 girls teams are scheduled to participate, namely Hurricane, Snow Canyon, and Pine View.